Neubrain to sponsor the BOARDVille 2019. BOARDVille is BOARD's User Conference that will take place at SLS Hotel Las Vegas on April 14-17th. Please join the City of Salem, Oregon, and Neubrain on Tuesday, April 16th at 12:30 pm to listen to the keynote presentation: A Strategic Budget Process for an Agile Government. During the conference Neubrain will showcase and provide live demonstrations of All-in-One Budgeting and Performance Management Solution that provides a complete view of how your organization is doing and helps you project where it needs to be for the future. Stop by Booth 741 to discuss your needs and learn how Neubrain can help your organization to achieve superior performance. 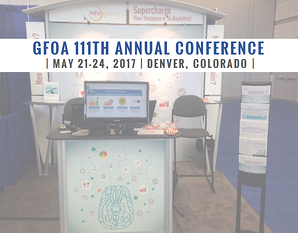 Rockville, MD, USA, January 30, 2017 – Neubrain, LLC, a leading provider of Budgeting, Business Analytics and Performance Management Solutions, will take part as exhibitor in the 111th GFOA Annual Conference in Denver, Colorado, from May 21-May 24, 2017 at the Colorado Convention Center. All-in-One Budgeting and Performance Management Solution that provides a complete view of how your organization is doing and helps you project where it needs to be for the future. Performance-based Budgeting Solution that unites formal cost-based budgeting with performance-based goals, helping to evaluate cost structures on the basis of outputs they generate. It looks forward, not backward, and establishes system-wide conformity that flags performance variances. Personnel Budgeting Solution that includes budgeting for an unlimited number of employees and positions. Budgeting can be done by positions or at the most granular level, such as by employees. Budgets can also be created for existing or unfilled positions, funded and unfunded positions, frozen vacancies, transfers, contractor positions and more. Data Analytics Solution - designed to help government agencies forecast revenues, reduce fraud, waste, and abuse. Our solution includes features and functionalities needed to build pervasive Data Analytics applications quickly. During the Conference, Neubrain will welcome the opportunity to meet you in person at Booth 805 to discuss your needs and how Neubrain can help your organization to achieve superior performance. Rockville, MD, January 12, 2017 - Neubrain, LLC, a leading provider of business analytics, budgeting and performance management solutions, today announced that the City of Springfield, Oregon has successfully launched its new comprehensive budgeting, forecasting and reporting system from Neubrain. Rockville, MD, October 19, 2016 - Neubrain, LLC, a leading provider of business analytics, budgeting and performance management solutions, today announced that the City of Fayetteville, North Carolina has selected Neubrain to streamline and automate their performance management and measurement processes. Rockville, MD, October 20, 2016 - Neubrain, LLC, a leading provider of business analytics, budgeting and performance management solutions, today announced that the State of Hawaii has selected Neubrain to streamline and automate Information Technology (IT) expenditures budgeting and tracking. Neubrain is pleased to announce its participation in National League of Cities (NLC) City Summit on November 16th-18th, 2016 at David L. Lawrence Convention Center in Pittsburgh, Pennsylvania. Please stop by our booth #807 to learn how Neubrain can supercharge your budgeting, forecasting, performance management and transparency reporting processes. Rockville, MD, October 19, 2016 - Neubrain, LLC, a leading provider of business analytics, budgeting and performance management solutions, today announced that the County of El Paso, Texas has selected Neubrain to streamline and automate their financial forecasting processes. Neubrain to sponsor the American Society of Military Comptrollers (ASMC) National Capital Region (NCR) Professional Development Institute (PDI) 2016. The 2016 NCR PDI will be held at the Ronald Reagan Building and International Trade Center in Washington, D.C. on Thursday, March 10, 2016. 2016 ASMC NCR PDI theme is: Simple FM for Mission & Audit. Please stop by our exhibit to learn how Neubrain can supercharge your budgeting, forecasting, performance management and transparency reporting processes. Pay and Personnel Budgeting Solution that includes budgeting for an unlimited number of employees and positions. Budgeting can be done by positions or at the most granular level, such as by employees. Budgets can also be created for existing or unfilled positions, funded and unfunded positions, frozen vacancies, transfers, contractor positions and more. Predictive Data Analytics Solution - designed to help government agencies forecast revenues, reduce fraud, waste, and abuse. Our solution includes features and functionalities needed to build pervasive Data Analytics applications quickly. During the Conference, Neubrain will welcome the opportunity to meet you in person at booth 114 to discuss your needs and how Neubrain can help your organization to achieve superior performance. Neubrain is pleased to announce its participation in AGA Financial Systems Summit (FSS) on January 19th, 2016 at the Washington Grand Hyatt. Please stop by our exhibit table #11 to learn how Neubrain can supercharge your budgeting, forecasting, performance management and transparency reporting processes. Rockville, MD, USA, March 25, 2015 – Neubrain, LLC, a leading provider of Business Analytics, Budgeting and Performance Management Solutions, will take part as exhibitor in the GFOA’s 109th Annual Conference in Philadelphia, Pennsylvania, from May 31-June 3, 2015 at the Pennsylvania Convention Center. During the Conference, Neubrain will welcome the opportunity to meet you in person at booth 741 to discuss your needs and how Neubrain can help your organization to achieve superior performance. Arlington, VA, December 15, 2014 - Neubrain, LLC, a leading provider of business analytics, budgeting and performance management solutions, today announced that the City of Salem, Oregon has selected Neubrain to streamline and automate their personnel forecasting, operating and capital budgeting, and performance management processes. NEUBRAIN TO SPONSOR AND PRESENT ON DATA ANALYTICS AND VISUALIZATION AT THE NORTH CAROLINA LOCAL GOVERNMENT BUDGETING ASSOCIATION (NCLGBA) 2014 WINTER CONFERENCE. Arlington, VA, October 21, 2014 –Neubrain, LLC, a leading provider of business analytics, budgeting and performance management solutions, to sponsor and present at the upcoming North Carolina Local Government Budgeting Association (NCLGBA) 2014 Winter Conference. The NCLGBA 2014 Winter Conference will focus on discussions and techniques local budget practitioners can use to improve their processes, achieve the goals of their governing bodies, uphold standards of fiscal responsibility and respect for citizens, and maintain credibility with taxpayers. The conference will be held on December 10th-12th, 2014 at Pinehurst Resort in Pinehurst, NC. Neubrain will be presenting on the topic of data analytics and visualization, educating conference attendees on the successful use of data visualization and analytics in the public sector and providing a short demonstration of Neubrain’s solutions. Neubrain’s presentation will take place on Thursday, Dec 11th at 9:15am-10:15am EST. For nearly a decade, Neubrain has provided excellent value to all of our clients and maintains an excellent referral and client satisfaction rating, while delivering solutions at a fraction of the cost and deployment time of traditional vendors. Our solutions help manage and budget resources in access of $70 billion per year. Whenever you need to analyze, budget, forecast, measure and report, Neubrain can help. also offers key best practices for keeping the budgeting process on track." "This Controller’s Report article is reprinted with permission from the Institute of Finance & Management (IOFM), Copyright 2014. All rights reserved. Rockville, MD, February 03, 2014 - Neubrain, LLC, a leading provider of business intelligence, budgeting and performance management solutions, today announced that the Tarrant Regional Water District (TRWD) of Texas has selected Neubrain for the implementation of a new budgeting system to automate operating, budgeting, salary and benefits forecasting and cost allocation processes. As one of the largest raw water suppliers in the state of Texas, TRWD provides water to more than 1.7 million people in the North Central Texas area. TRWD serves more than 30 wholesale customers including the cities of Fort Worth, Arlington, Mansfield and the Trinity River Authority. Their operations span an 11 county area reaching from Jack County to Freestone County and include maintenance of dams at the Water District’s four reservoirs as well as the more than 150 miles of pipeline used for water transport. In order to better manage their growing customer base and unique and complicated budgeting and cost allocation processes, TRWD selected Neubrain to replace their dated budgeting software with a sophisticated and user-friendly budgeting, pay and personnel and cost allocation process budgeting solution. By implementing a user-friendly, integrated solution tailored to TRWD’s unique and specific needs, utilizing Neubrain’s highly experienced team and leveraging Neubrain’s strong footprint and expertise in budgeting, cost allocation, and pay and personnel budgeting for the public sector, Neubrain will provide TRWD with the ability to allocate, monitor, measure, analyze, and report valuable, actionable data for budget formulation and execution tracking. Neubrain will design and deploy the solution, conduct staff training, and provide support for the initiative. Founded in 2003, Neubrain deploys, supports, and provides training for sophisticated business intelligence, budgeting, planning and performance management solutions to improve operational, financial, and personnel decision-making at a fraction of the cost and deployment time of traditional vendors. With an unbeatable track record in delivering successful solutions to customers in both the private and public sectors, Neubrain is prepared to take on your toughest challenges. Neubrain has offices in Arlington VA, and Rockville MD, and is on the Federal GSA schedule (GS-35F-0536S). All statements in this press release that do not directly and exclusively relate to historical facts constitute “forward-looking statements” within the meaning of that term in Section 27A of the United States Securities Act of 1933, as amended, and Section 21E of the United States Securities Exchange Act of 1934, as amended. These statements and this information represent Neubrain’s intentions, plans, expectations and beliefs, and are subject to risks, uncertainties and other factors, of which many are beyond the control of the Company. These factors could cause actual results to differ materially from such forward-looking statements or forward-looking information. 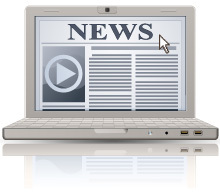 These factors include but are not restricted to: the timing and size of new contracts; acquisitions and other corporate developments; the ability to attract and retain qualified members; market competition; general economic and business conditions; foreign exchange and other risks identified in the press release. Statements relating to future performance are forward-looking statements and forward-looking information. Neubrain disclaims any intention or obligation to publicly update or revise any forward-looking statements or forward-looking information, whether as a result of new information, future events or otherwise, except as required by applicable law. Readers are cautioned not to place undue reliance on these forward-looking statements or on this forward-looking information. KogodNow, a new Digital Magazine published by the American University's Kogod School of Business, features an article “Data Revolution” that explains the urgent need to prepare a new wave of analytical decision makers. The article also features an interview with Professor DeLone and Yana McConaty, co-founder of Neubrain, who worked together to design a business intelligence course at the American University. Rockville, MD, December 7, 2012 - Neubrain, LLC, a leading provider of business intelligence, budgeting and performance management solutions, today announced that Utah’s Park City Municipal Corporation (PCMC) has selected Neubrain to provide a Budgeting for Outcomes (BFO)/Performance-based Budgeting solution as well as training and support, in order to optimize and automate PCMC’s budgeting, forecasting, allocations, and financial reporting processes. In an effort to improve efficiency and ability to deliver results for the citizens of Park City, Utah PCMC has recently converted to a “Budgeting for Outcomes” budget process. This type of budgeting requires the ability to efficiently and in real time monitor, report, measure, analyze, forecast performance, and ultimately assist in making appropriate budget decisions. By implementing a unified performance management solution catered to the client, leveraging its highly experienced team and strong footprint in performance management, budgeting and business intelligence, Neubrain will provide Park City with the ability to monitor, measure, analyze, and report valuable, actionable data for quick problem resolution and budget optimization. Neubrain will not only deploy the solution, but also create the modeling, conduct staff training, and provide support for PCMC’s initiative. Neubrain assists the American University Kogod School of Business in the development and delivery of their BI (Business Intelligence) course. This graduate-level course teaches students about the fundamental principles and concepts applicable in today’s data analytics, business intelligence and performance management practices, procedures and technologies. The students also learn how to produce meaningful information, identify patterns and trends leveraging technologies, such as: data warehousing, data mining, business analytics, dashboarding, budgeting systems, among many others. Please visit the following link to read more: http://www.american.edu/kogod/news/20120504_ksbnews_iteccoursewithneubrain.cfm.com.